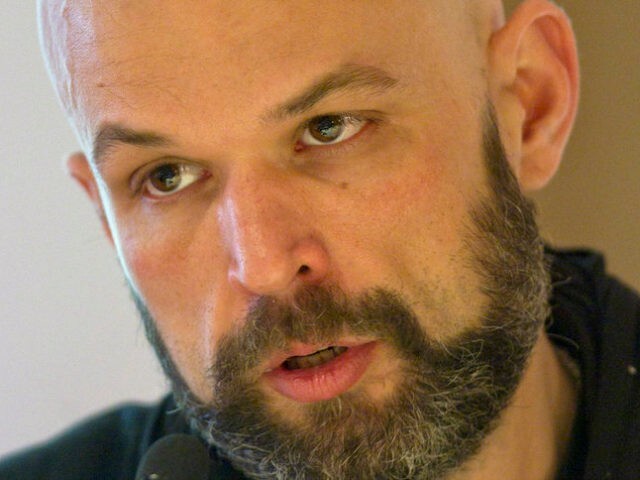 Former National Review writer Kevin Williamson, who was just fired from the Atlantic, has apparently decided his next career will be that of playing the victim. After being canned for having expressed the opinion that women who have abortions should be hanged, no one can argue that Williamson does not have every right to be angry at the Atlantic over the matter. While I am personally not a fan of Williamson’s look-at-me opinions or his pretentious writing style, no one should be fired for holding a personal opinion or for being provocative. If we live in a country where we lose our careers over such things, there is no free speech. Nevertheless, there is a big difference between fighting for free speech and manufacturing a scenario that allows you to pose as a martyr, and in a Weekly Standard piece published Tuesday, “How They Do ‘Journalism’ at New York Magazine,” that is exactly what Williamson does. After complaining in a recent Wall Street Journal article about how every news outlet that wrote about his Atlantic ordeal failed to ask his side of the story (a valid complaint), Williamson informs us that he finally did receive an inquiry from New York magazine’s Ed Kilgore. Ever since his comments about hanging women who have abortions surfaced, Williamson has suggested he was merely being provocative and said outright that he is not a fan of capital punishment. All well and good. But this does leave open the question of what Williamson honestly believes should happen to women who have abortions. As noted, my original observations on this subject, including the Infamous Tweet, speak to the very dishonesty and stupidity of the stratagem upon which you are here relying. I can’t believe that you are in fact unaware of my opposition to capital punishment. Am I the only one who got lost in the middle thing? As any reasonably intelligent person will immediately detect, that question isn’t actually a question; it is a rhetorical stratagem in the shape of a question, deployed for the purpose of lame partisan point-scoring in the form of blocks of texts shaped like journalism. It isn’t discourse, but a facsimile of it, the journalistic equivalent of the Gemütlichkeit Spamwich created by Lisa Dziadulewicz of Sheboygan, Wisconsin: Just not quite right. It is, as I have noted, a dishonest strategy, because the question cannot be intelligently answered in a single sentence or two. Except, uhm, Kilgore did not ask for an answer in “a single sentence or two.” He asked a question, and the response was a neurotic word salad. …and now Williamson is acting like the victim of a hit job. In response to a fairly straight-forward question, Williamson responded with two paragraphs of gobbledygook, but did offer to actually answer the question (for free) if they gave him a byline. And now, because someone chose not to offer him his platform, Kevin has climbed up on a cross. “New York magazine, in the words of its own editor, prefers a truncated, incomplete account, which is of course easier to distort and to misrepresent. Whatever that is, it isn’t journalism,” Williamson harrumphs. Williamson was given the opportunity to clarify a position, and instead of doing so, he threw a poop-stained pile of defensive, pseudo-intellectual gibberish — which he apparently thought he could wrangle into a byline. His scheme failed, and now he’s a victim, or something. But then … and this is my favorite part… as if to prove New York magazine correct, and even though he was able to cash in on this latest assault to his dignity for a Weekly Standard byline, Williamson still does not answer the question — still does not tell us what he believes should happen to women who have an abortion. A subject to which I expect to be returning in the near future is the way in which social media functions as a tool for the prevention of discourse rather than an instrument enabling it. One of the lessons of the 20th century is that authoritarian movements are happy to use the instruments of liberal democracy as weapons against liberal democracy: Newspapers, mass media, political parties, even elections themselves can be used to undermine genuinely liberal and democratic institutions. Yes, by all means, and for the good of the world and human liberty, please do opine further about this very important subject. Believe it or not, this “prevention of discourse” has been going on for years, and some of us have been sounding the alarm and fighting this fight for nearly a decade. But, you see, until right now, Never Trump didn’t care that this was happening because it wasn’t affecting their tribe. Because, until right now, the people being blacklisted, de-platformed, and scarlet lettered, were those icky people, those on the right who embarrass the elbow-patched sensibilities of the Ross Douthats, David Frums, and Jonah Goldbergs. And as long as it was happening to those icky people, and they could still land gigs at “respectable” outlets like the Washington Post, New York Times, PBS, and the Atlantic, Never Trump’s muh principles on the issue of free speech failed to kick in. Oh, but now that they came for me, for a fellow Never Trumper like Williamson, our soft-handed betters are ready to grab a musket. Yeah, well, we need fighters. We need men, not drama queen-crybabies who think they are entitled to a New York magazine byline.